“Projek Tunas Bestari” (hereinafter referred to as “project”) is a project introduced by Tan Sri Muhyiddin Charity Golf (hereinafter referred to as TSMCG”) in an effort to promote the development of golf sport in Malaysia. This project aims to provide the necessary facilities to participants to learn the sport. TSMCG plays its role by collecting used golf equipment from the public. These equipment will be allocated to all states to accommodate the needs of the participants. To facilitate and accommodate golfer with the proper fundamental and equipment, and to support local golf development. Golf has become popular in Malaysia however it is not accessible to everyone, especially potential young talent, since its equipment can be costly. 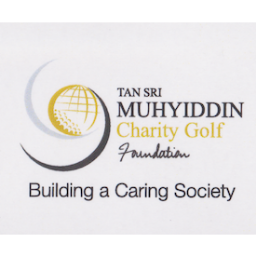 Tan Sri Muhyiddin Charity Golf (TSMCG) took the effort to organize this program in conjunction of TSM Golf Challenge 10th Year Anniversary. Other than providing golf equipment, TSMCG has collaborated with Malaysian Golf Association to provide golf lessons by qualified instructor to assist the player in progressing their golf game and knowledge. The adoption of golf by new juniors will encourage adoption of the sport by parents, teachers and guardians. The facilities could help the new golfers, young and old, to learn to play the game of golf that will benefit the revenues in golf industry. To accommodate golfer with the equipment provided. To create an environment and structure in which young people can play, develop and enjoy golf. To foster and further develop relationship within the local community to encourage people of all age to try golf as a sport and pastime. To introduce golf to the kids at very young age. To further develop the coaching of all our young players following the proper guidelines. To ensure that the benefits of the project are equally accessible to people of all abilities. To encourage local sponsors and local funding organisations to assist in the development of junior golf. To develop well-defined pathways from junior golf into adult golf. To search Malaysian own “Tiger”. FREE coaching and golf tutoring by experienced coaches. EXPOSURE to participate in local amateur tournament. EXPERIENCE to compete in TSM Golf Challenge as Wild Card .